A magnificently macabre musical comedy, The Addams Family: A New Musical Comedy will open on March 21st at Northside High School. The show was created by an award-winning team that includes authors Marshall Brickman and Rick Elice (Jersey Boys), composer-lyricist Andrew Lippa (The Wild Party). All your favorite Addams Family characters, along with a band of spirited ancestors from diverse past generations are in this original story song, and dance show. This special treat is brought to you by the Burton Center for Performing Arts under the stage direction of Carol Lyn Webster, musical direction of Bradley Stump, and choreography of Kelli Manor. A grave crisis is brewing—it is every father’s worst nightmare, but in reverse. Daughter Wednesday, the ultimate Princess of Darkness, has grown up and fallen in love with a “normal” young man, Lucas Beineke, from a quite respectable Ohio family—not even remotely fiendish! Worse, the romance seems to have turned the steadfastly gloomy Addams girl downright cheery, leaving her family very worried and distressed. Comic chaos reigns when they host a dinner for Wednesday’s new boyfriend and his parents so they can become better acquainted with the entire Addams family. All shows are at Northside High School: Thursday, March 21 at 7pm, Friday, March 22 at 7pm and Saturday, March 23 at 2:30pm. Free Admission. Doors open 30 minutes prior. From WSLS.com: Students from the Burton Center for Arts and Technology installed about 20 refurbished computers at the Blue Ridge Autism and Achievement Center in Roanoke. Students at Burton, a career and technical education center, cleaned and updated all the computers to donate to Blue Ridge. "They're a great upgrade from what they had. They're a lot faster," said Bradley Frye, a junior at Burton. Students at Blue Ridge all have intellectual or developmental disabilities and rely on the computer lab, but not just for classes. "We have students who may have communication delays. So, having access to the computers and iPads and any type of technology allows our students an opportunity to really open the world to them," said Christina Giuliano, the executive director of Blue Ridge. Teachers say the computer lab is the busiest room at the center. The last time they got upgraded computers was four years ago. So, the $1,500 donation will go a long way. "To have, overnight, an opportunity to replace some very old technology that we had in the building with this new up-to-date technology from the Burton Center is just a phenomenal feeling," Giuliano said. "I can't wait to see the students use it." Burton students donate computers to local nonprofits every year. However, this donation hits home for Frye, whose cousin also lives with autism. "I think it's great. I've seen a lot of one-on-one with teachers walking around with students and I think it's a great opportunity for them to get help and learn," Frye said. Students and teachers at both schools say the new computers will help students at Blue Ridge learn the skills they'll need both in - and out - of the classroom. 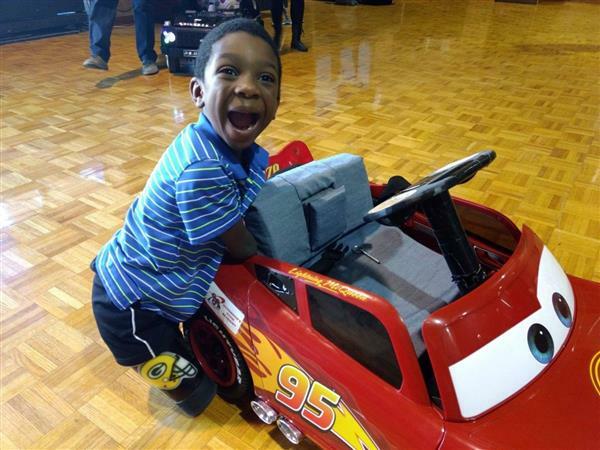 BCAT Engineering seniors completed a months-long project in January 2019, highlighted by a hand-off of electric toy cars that were re-designed to accommodate children with unique mobility issues. BCAT would like to thank the wonderful families involved in this as well as the amazing folks at Burlington Elementary, Glenvar Elementary and Roanoke County’s Special Education Department for collaborating with us. This was truly a great team effort! 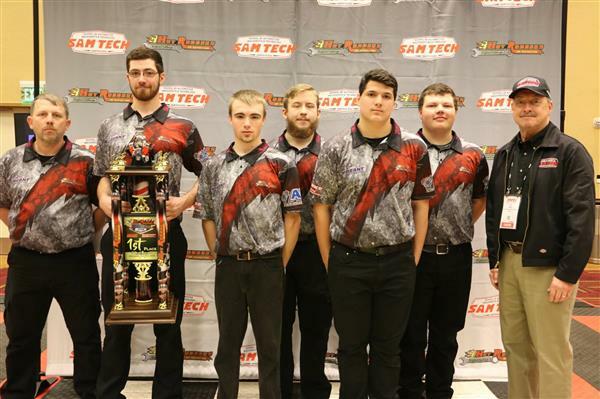 BCAT Motorsports Team Wins 3rd National Championship! Like Us/Follow Us on Social Media!